• Spinning free, IP (takes<30 minutes) with minimal sample loss. • Background caused by non-specific binding is very low. • Beads contain 9.3×1013 molecules/cm2 of protein A/G. Antibody binding capacity up to 0.6-0.8 mg/mL. Protein A/G Magnetic Beads for IP use a biological nanosurface technology (S-TEC). Protein A/G is orientated as a coat on the surface of super paramagnetic microspheres with high coating density up to 9.3 × 1013 molecules/cm2. Compared to other similar immune magnetic beads, Bimake MagBeads™ Protein A/G display more antibody binding sites, therefore during IP, less magnetic beads are used. 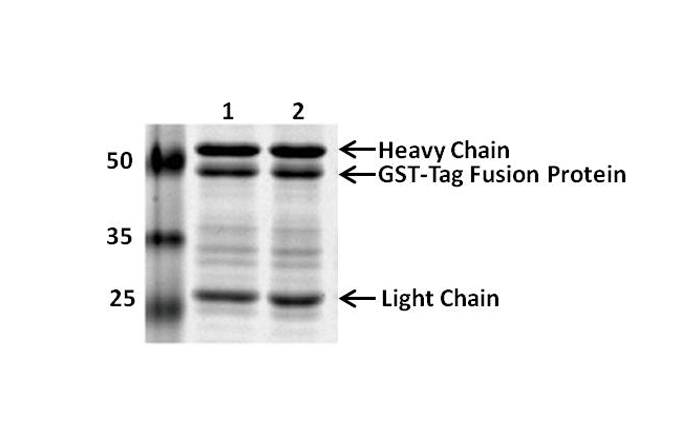 Non-specific binding is low, enabling Bimake MagBeads Protein A/G to be used in IP conveniently and efficiently. With a large, specific surface area, these beads can greatly shorten the equilibrium antibody and antigen adsorption time, enabling complete antibody antigen adsorption process within 10 minutes, and complete total purification and precipitation in just 30 minutes. 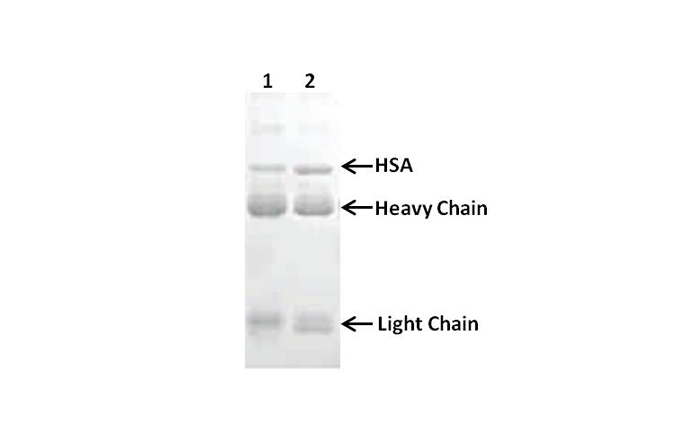 This product can be used on a wide variety of samples, such as in cell lysates, supernatants collected from cell secretion, serum, ascites, and other immune antigens. 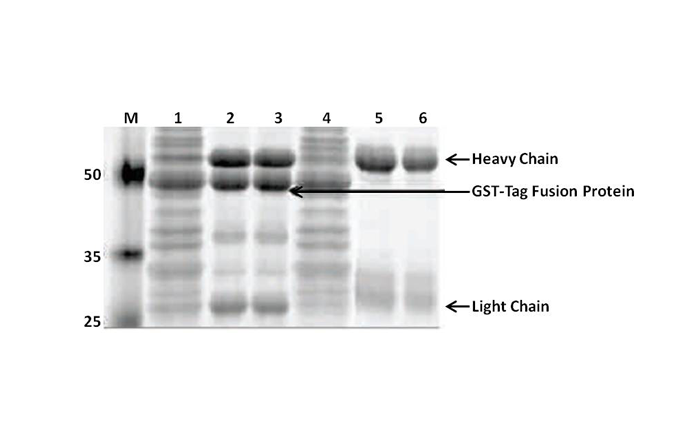 Protein A/G is a recombinant fusion protein that combines IgG binding domains of both Protein A and Protein G. Protein A/G contains four Fc binding domains from Protein A and two from Protein G, yielding a final mass of 50,460 daltons. 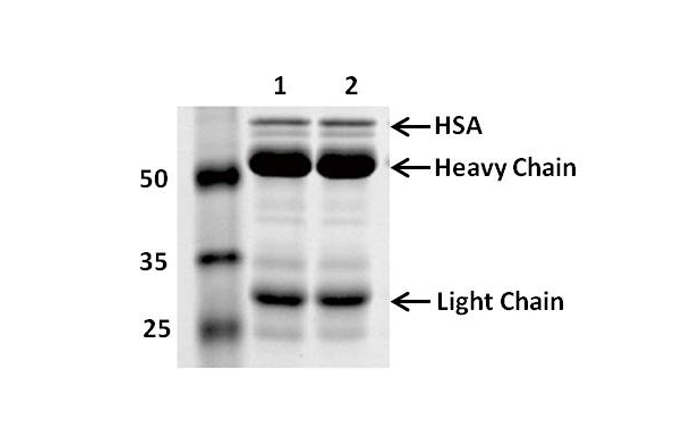 The binding of Protein A/G is less pH-dependent than Protein A, but otherwise has the additive properties of Protein A and G. Table1 provides a reference of binding strength between antibodies and protein A/G, use the antibody subtype with strong binding effect in your experiment. Store at 4°C for 2 years. Don’t freeze in the absence of glycerol. This procedure (Figure 1) offers a general guideline for immunoprecipitation (IP). Optimization may be required for each antibody and target antigen. 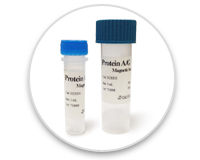 Protein A/G Magnetic Beads for IP are ideally suited for IP reactions. 1 Before immunoprecipitation, please be sure to carefully read the operating instructions. 2 This product requires use of a magnetic separator. 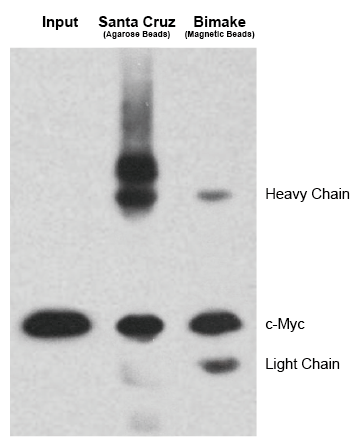 3 Protein A/G Magnetic Beads should be suspended uniformly before use. 4 Protein A/G Magnetic Beads should be kept in storage solution and prevent dry. 5 Do not freeze or centrifuge MagBeads protein A/G. 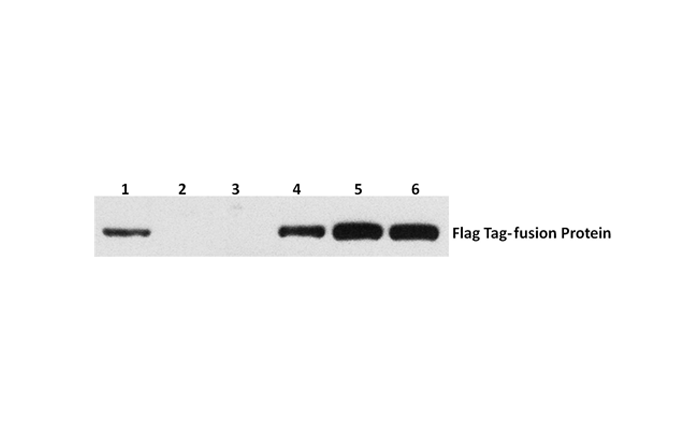 6 In order to ensure the best results, please select an antibody with strong specificity. 7 For the IP experiments, different antibodies and antigens will display different binding affinities. 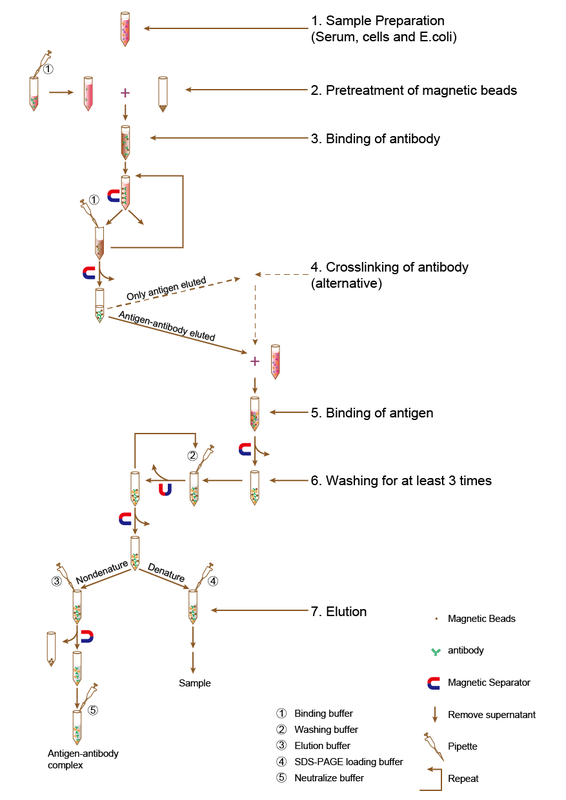 Antibody and antigen binding may be altered based on use of binding buffer and washing buffer. Some operator optimization may be necessary. 8 This product is only intended to be used as directed. All other uses are prohibited.